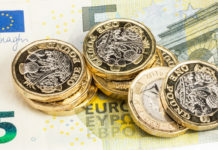 GBP has curbed any further losses against EUR during early morning trading, with the pair currently trading close to the high of 1.1249. This morning’s headlines indicate that UK Prime Minister Theresa May has rejected all alternatives to her Brexit deal. This means it is likely that either the current deal will be approved by MP’s on 11th December, or the alternative of a no-deal Brexit will become a very real possibility. Whilst December’s vote is not legally binding (in fact a second vote may come about is the deal is rejected), any rejection by Parliament would certainly put the PM in a difficult position. Theresa May has stuck to her guns throughout the long arduous process of trying to negotiate the UK’s exit from the single bloc. Any U-turn now would seemingly extinguish any remaining credibility that she has, not only with the country but perhaps even more significantly in the short-term, her own Conservative Party. Brexit talks have caused division from top to bottom and seemingly split the country in two (or 52% to 48% if you are a Brexiteer). As such, every decision is quick to be shot down by one side or another, meaning that any forward momentum in talks has not necessarily mirrored itself in terms of the perception of the current talks. 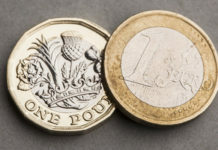 The pound itself has suffered immensely from this split and all the uncertainty Brexit has brought with it. Whilst it has made inroads at various junctures since the now infamous referendum result, it has yet to sustain any of these spikes. To me this is telling as it proves investors long-term confidence in the UK economy and ultimately the pound remains fragile at best. Whilst the Eurozone economy has problems of its own, particularly when you look at underperforming economies such as Italy, it seems as though for the time being at least, it seems to be the lesser of two evils in the minds of investors. Feel free to get in touch using the form below if you’d like to know more about the factors impacting GBP/EUR rates, I’ll be happy to get back in touch personally.